The small Reformed Church finally took an official stand against Freemasonry in 1942. The one Presbyterian denomination prior to that time that took a clear stand against Freemasonry was the Associate Presbyterian Church which following the 1757 Secession tradition had forbidden Masonic membership. In writing this part concerning the Presbyterians, I have taken the liberty to lump the various groups together in the same section—however, they can in no way be lumped together in their response to Freemasonry and the One-World-Power. 33rd degree Mason Hugh I. Evans (1887-1958) deserves some note here. He represented the U.S. at the meeting of the World Council of Churches in Holland in 1948. He was the National Head of the Presbyterian Church, U.S.A. in 1950-51. In 1955, he became the director of the Foundation of the Presbyterian Church at NYC. and he served for a while as the President of the Board of National Missions. The Newsletter Free The Masons (Aug. 1990) says "On the other end of that, however, is the church on whose Board sit Lodge members, or whose Deacons or Elders share Masonic secrets. These secrets reflect their higher allegiance to the Lodge, and seem to produce an aloofness from the rest of the Church body. These are 'good' men who attend regularly and are often the financial backbone of many small congregations. "One Pastor wrote of his frustration in a rural church. He put it this way, "As faithful as these men are, I always feel at board meetings that there is a second agenda which is not open to me. It's like they get their marching orders from the Lodge on how to conduct the business of the church. They are good men, but they seem to operate with some 'higher' knowledge than the rest of us. There is no submission to the authority of the church and its members." "
Sometimes Masonic literature shows its true colors almost to the point of being embarrasing. 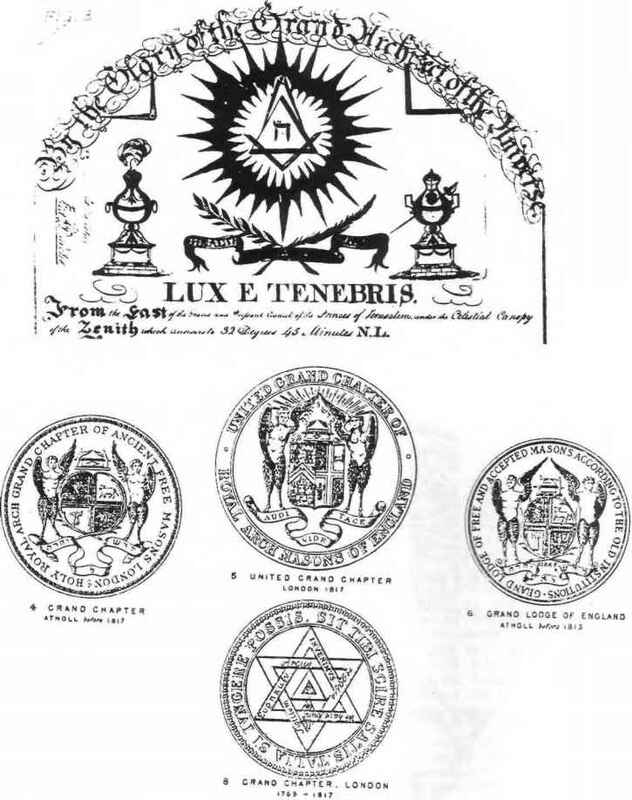 The book Standard Freemasonry states that Presbyterians are bad material [for the lodge] until they go against their church.6 The Proceedings of the Grand Lodge of Oregon, 1870, p. 209 states that the world is a good place when the Presbyterian church shares its pulpit with a Jewish rabbi in Salem, OR. The United Presbyterian Church put out a "Report on Occult and Psychic Activities" in 1976 that gave a positive report to various occult activities. It encourages the study of the occult "within the churches" (p.3). The medium Olga Worrall's book The Gift of Healing gets a favorable review. One of the seven on the task force that wrote up the report was Mrs. Margueritte Harmon Bro who was a medium and the cofounder of SFF. 1. Latourette, Kenneth Scott. A History of Christianity, Vol. II. NY: Harper & Row, 1975, p. 1231. 3. Holmes, Arthur F. The Idea of a Christian College. Grand Rapids, Ml: William B. Eerdmans, 1975, p. 19. 4. Numerous books refer to Anderson. Two references may suffice here, Ferguson, Charles W. 50 Million Brothers, and Jack Harris' Freemasonry: The Invisible Cult, p. 113. 5. 1982 Yearbook of American and Canadian Churches as quoted in the World Almanac 1983, p. 353. 6. Standard Freemasonry, p. 40. What does the methodist church think of the masonic lodg? Are members of the prespertarian church members of the masions? What are the ocultic secrets of the presbyterian church? Who is the head of the presbyterian church and freemason in scotland? WHAT IS THE UNDERSTANDING THAT THE PRESBYTERIAN USA CHUCH OF MASONS?